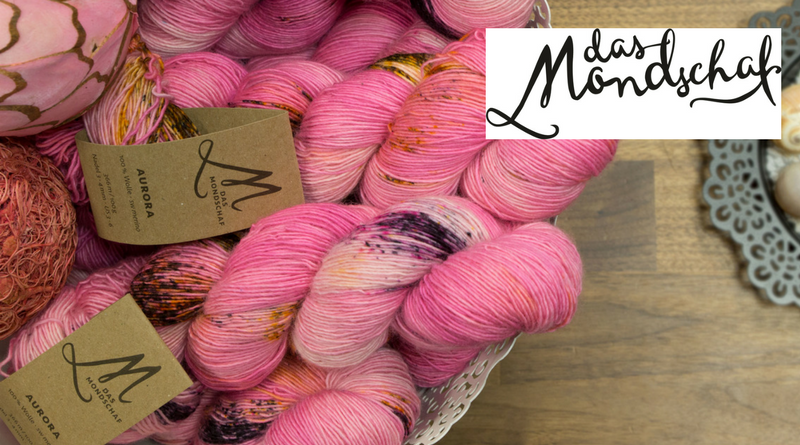 Have you seen the fabulous yarns by Das Mondschaf yet? 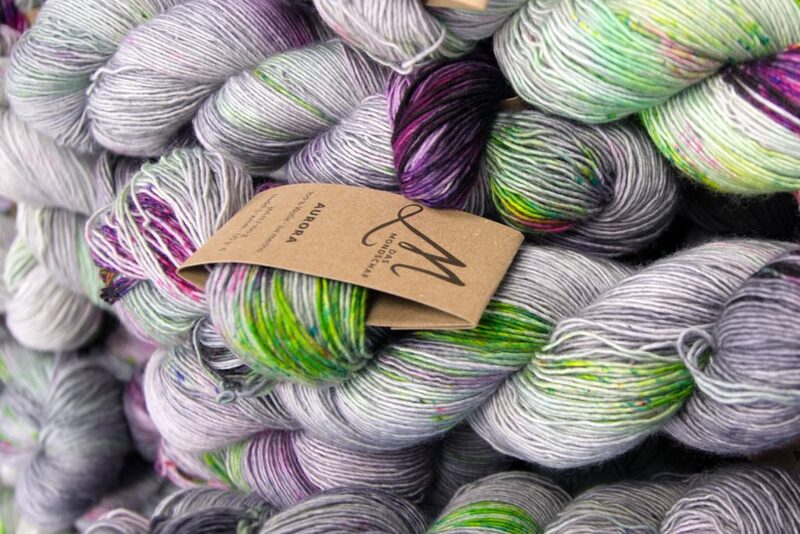 I’m more than happy to announce the cooperation of Mondschaf Yarns with me (Julia Riede) and knitting.today. We’re working together on eight new shawl designs coming this December (Unicorn Knits, more on that tomorrow) and January (Unicorn Knits 2). Both collections will be released as single patterns and books (ebooks, Kindle and paperback editions) and be available in both English and German. But first, let’s introduce Sabrina and Das Mondschaf (*)! 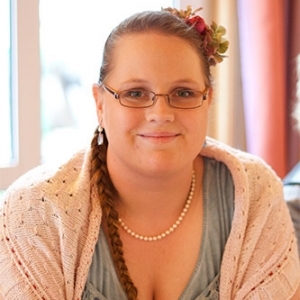 Sabrina is a trained designer with a lot of working experience as an art director in German advertising agencies. 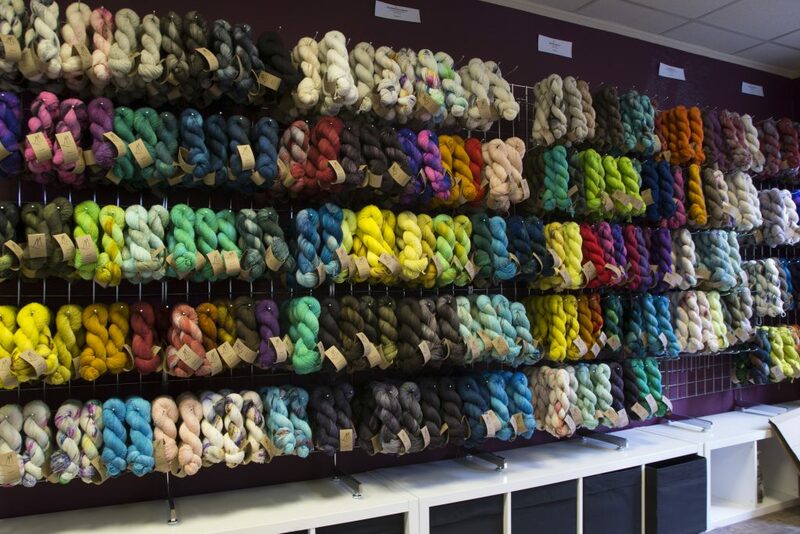 To get to know here better I asked her about her background and how she became so successful as a yarn dyer selling her creations online at Mondschaf Yarns. During that time she discovered knitting as her new hobby. Soon she was looking for better quality hand dyed yarns. Sabrina started by working at home as a side business, dyeing her yarns in the house she shares with her husband. Her business grew further when she started to exhibit at yarn festivals. Then she was forced to take a decision about her future when the agency she worked for went out of business. “In the end of 2014 the advertising agency I was working for went out of business. I suddenly had to decide what to do with my life and how to proceed in my career: Taking the next unfulfilling, stressful job, or becoming an entrepreneur? I used the opportunity to become self employed and never looked back since. In 2016 the house became too small for her venture and she moved to a studio. “My experience as designer helps me a lot with the management of my own shop. I am able to do much myself and I am much more flexible now, without having to rely on platforms like Etsy anymore. We’re more than curious too, Sabrina! You can find Sabrina and her yarns at www.das-mondschaf.de. She has a Facebook page, a blog and is on Instagram as @dasmondschaf.